SHARES of SpiceJet zoomed 8.5 per cent on Friday after the airline announced it will induct 16 Boeing 737-800 NG aircraft, a move that will help in bringing down flight cancellations. The company’s scrip jumped 8.54 per cent to close at Rs 109.90 on the BSE. During the day, it rose sharply by 10.61 per cent to Rs 112. In terms of traded volume, 99.96 lakh shares were traded on the BSE during the day. The company’s market valuation also rose by Rs 518.9 crore to Rs 6,590.90 crore. The announcement comes at a time when airfares have been on an upswing across India for the past few weeks due to a sharp decline in the number of flights, primarily caused by grounding of around 90 per cent of cash-strapped Jet Airways' 119-aircraft fleet. 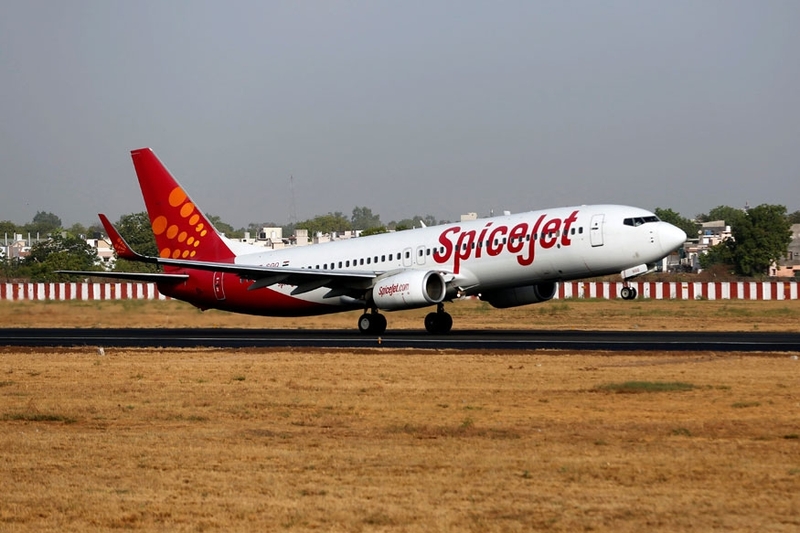 SpiceJet grounded 12 Boeing 737 Max aircraft in March over safety concerns following an Ethiopian Airlines plane crash.